It has always puzzled me how a small, technologically advantaged force can dominate vast multitudes in far reaches of the planet. It’s the story of empire: The Romans extending their rule across Europe and the Mediterranean. Cortés and a few hundred Spaniards conquering the powerful and warlike Aztecs, who had created an empire of their own. And more recently, the British building an empire on which the sun never set, its crown jewel being India. In most cases the story of empire is one of the few taking advantage of internecine disputes among the many to seize control, of dividing and conquering. It was Rome’s way. It was Cortés’ way. 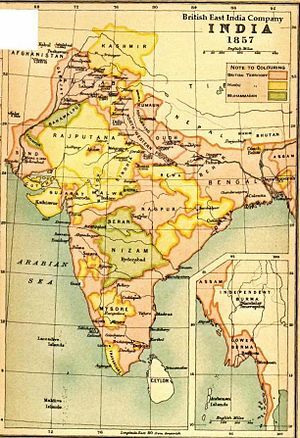 And although I am not well read in Indian history, I suspect that’s what happened there as well–the British striking alliances with advantage-seeking rajahs and playing up religious and cultural differences. Certainly that’s how Kipling portrayed it in such works as Kim and The Man Who Would Be King. In 1857, British control of India nearly came to an abrupt end. That year, the Indian subcontinent erupted in violent reaction to the steady incursion of the British East India Company, an event known as the Indian Rebellion. What astounds me is that the British prevailed. 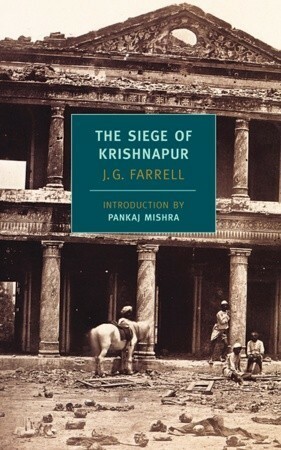 In The Siege of Krishnapur Anglo-Irish novelist J.G. Farrell attempts to reconstruct the stubborn self-righteousness and contempt that enabled the British to prevail in that perilous year. But Farrell also wonders if the germ of empire’s end wasn’t inherent in those same myopic attitudes. Farrell, who died in a freak accident in 1979 (while fishing on Ireland’s west coast, a wave swept him into the sea; his body was not recovered for a month), is best known for his Empire trilogy. 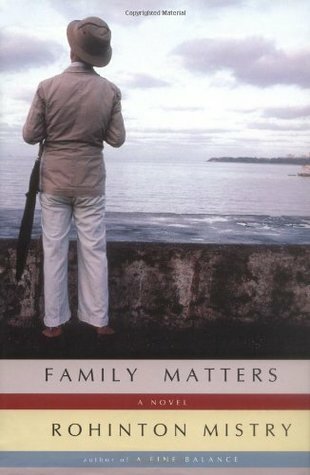 In each volume he considers a watershed in the British empire’s decline. Troubles deals with a hotel in Ireland after World War I, The Singapore Grip with life in that colony on the eve of World War II. The Siege of Krishnapur, however, is his Booker Prize-winning novel based on the historical siege of Lucknow in the north-central state of Uttar Pradesh. Farrell of course has the benefit of hindsight, writing in 1974, decades after India’s independence. This distance allows him to portray the imperial mindset with comedic effect. 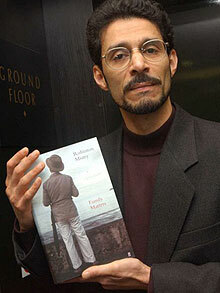 He finds ironies in the historical context and satirizes the presumptions of the age. Wisely, he scrutinizes the character of the English, whom he knows, but does not attempt to fathom the motives of the Indian sepoys who besiege his fictional Krishnapur. Regrettably, this approach reduces the rebels to faceless hordes akin to those ant-like computer-generated armies in the Lord of the Rings movies. Despite the Kiplingesque action/adventure story he is telling, Farrell revels in dialogue and interior monologue. The best bits are wicked: “The first thing one learns about India, Burlton, is not to listen to the damned nonsense the natives are always talking,” says one fatuous character before the siege begins. Only the Collector, the stalwart epitome of British civility and reason who runs the residency for the Company in Krishnapur, a man for whom the technological and scientific advances featured at London’s Great Exhibition of 1851 are sure signs of civilization, senses that trouble is stirring. He orders fortifications to be built which enable the small enclave of residents and soldiers to defend themselves when the attack comes. The siege itself is central, and like the quarantine in Camus’ The Plague, provides an opportunity to observe desperate people at close quarters. The veneer of Victorian propriety soon gives way to survival. The Collector must constantly reassure himself that British rule stands for Progress; he and the Company are bringing Great Ideas to India. But as things grow dire, the busts of the European thinkers that decorate his study must be used as cannonballs against the attackers: “The most effective of all had been Shakespeare’s; it had scythed its way through a whole astonished platoon of sepoys advancing in a single file through the jungle.” Voltaire’s head jams the gun. Farrell, like Joseph Conrad before him in “An Outpost of Progress,” Nostromo and Heart of Darkness, sees a black center in the Great Ideas that empire builders use to justify taking what they want from the rest of the world.